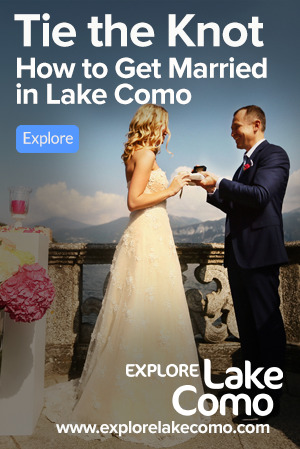 In Griante and Lake Como, Winter has traditionally been a time when almost no one visited and the hotels, stores, restaurants and bars closed up shop. 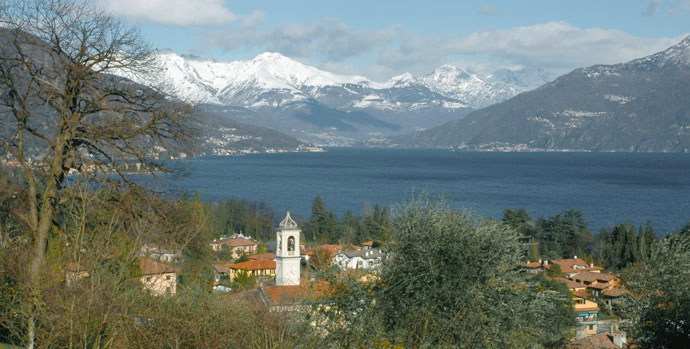 Now things are slowly changing, and many have come to appreciate a winter stay in Lake Como. With snow peaked mountains in the distance and many clear and crisp, but never very cold days, winter in Griante and Lake Como can offer the hardy traveller a rewarding visit. Good skiing is also close by in Madesimo (Italy) and St. Moritz (Switzerland), each one being about a 2 hour drive from Griante. Double check train, bus, and hotel schedules. Many have winter schedules that are more limited than what you will find in other seasons. Griante, with the snow capped mountains of the Valtellina in the distance. 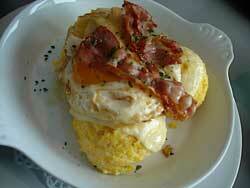 Polenta topped with eggs and bacon.